Product code: ES7800 Categories: Antique, Lockets. Here is an exquisite hand engraved Victorian era antique rose gold locket that exemplifies why hand engraving is so much better than machine engraving and also why there is nothing quite like an antique locket worn around your neck. Made in 9ct rose gold, this one dates from the late 1800’s and measures 31.7mm by 39.8mm or 52.1mm to the top of the bail and will make a real statement when worn around the neck. It will not matter which side is displayed as both sides have been expertly hand engraved with the most incredible design. The amount of hours needed to hand engrave this locket would have been immense and is a true testament to the quality of craftsmanship that was created all those years ago. 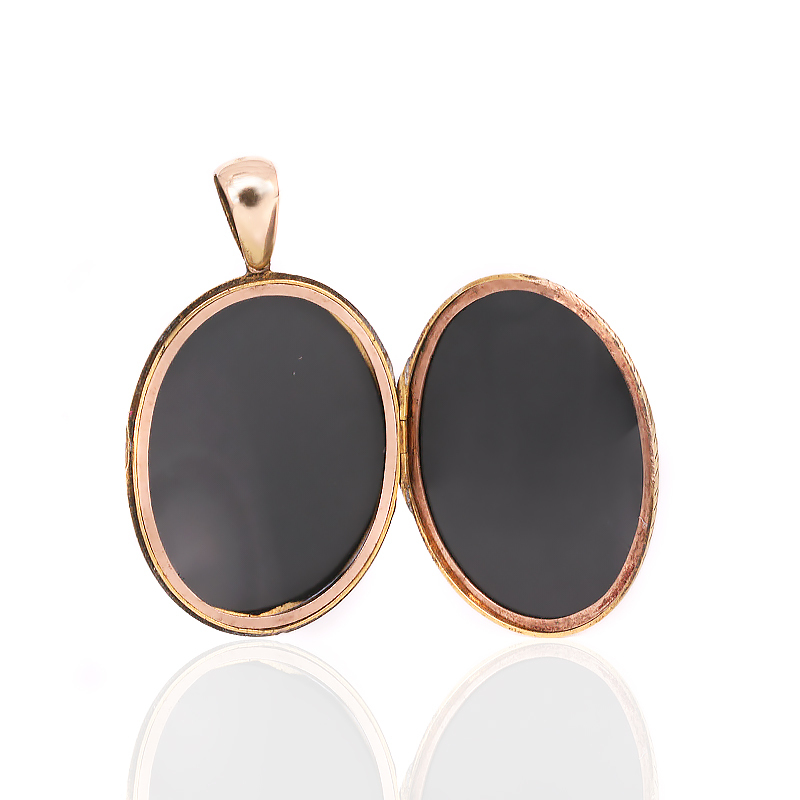 Inside two photos can easily be placed on each side, and the bail at the top is nice and large to accommodate a variety of necklaces and day or night, this locket will always stand out. With incredible engraving, this antique locket is just spectacular. Beautiful hand engraved antique locket in rose gold.